I am a Professor of Computer Science at Middlesex University and I am currently coordinating the Middlesex Applied Software Engineering research group (MASE). Before joining Middlesex in 2009, I was a post-doc in the Department of Computer Science at University College London (2006-2009), working with Prof. Wolfgang Emmerich and Prof. David Rosenblum. 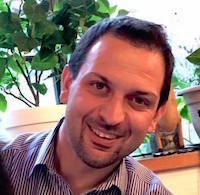 My PhD on “Verification of Multi-Agent System” started at Imperial College in 2001, then moved following my supervisor (Prof. Alessio Lomuscio, now back at Imperial): I was at King’s College London from 2002 to 2004, and finally UCL from 2004 to 2006. In the past century I obtained my BSc+MSc in Physics from the University of Milan in Italy. You can download my full CV from this link.